Douglas Lindelöw of Sweden won the Western European League kick-off event for the Longines FEI Jumping World Cup™ in Oslo this weekend, beating out 11 other riders in a tightly contested jump off. Douglas Lindelöw, who turned in a quick ride in 44.67 seconds with no penalty points aboard his Swedish Warmblood Zacramento, narrowly edged out second-place finisher Kevin Staut of France, who finished his clear round in 45.51 seconds for the silver medal position. Third place at Oslo was awarded to the superb Edwina Tops-Alexander of Australia, who also had double clears and finished in 45.56 seconds. 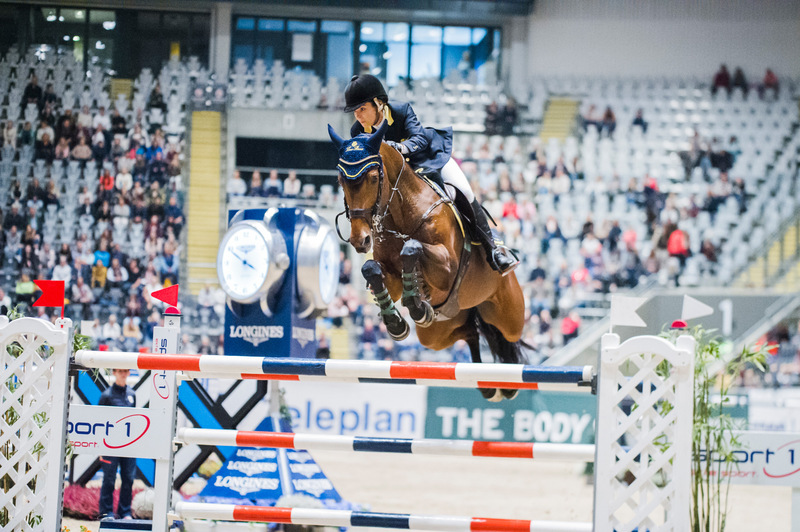 The course was a tight one at the indoor Telenor Arena just outside Oslo, and the event capped five days of competition at the Kingsland Oslo Horse Show. The 15 jumps had to be completed in just 76 seconds, so time was a factor, as well as the packed stands just a few metres from the action. Thirty-eight riders gathered for the first leg of 13 leading to the Longines FEI Jumping World Cup™ Finals in Gothenburg, Sweden, next April. At the end of the first round, 12 riders had gone clear, advancing to what would be an exciting jump off against the clock. With rails down by Anna-Julia Kontio of Finland and Karel Cox of Belgium, and with Michael Cristofoletti of Italy turning in a clear round at 46.70 seconds, Lindelöw was fourth to ride in the jump off. The 27-year-old Swede too went clear, edging out Cristofoletti at 44.67 seconds. The next 20 minutes were a nail biter for Lindelöw, as some of the world’s best riders were yet to go. The jump-off course contained eight obstacles and nine efforts, with a double combination that had to be perfectly timed and a long gallop to the final Longines vertical at the finish. Luca Moneta of Italy tried to cut the last turn sharply to save time, and though he rode clear, it wasn’t enough to beat Lindelöw at 46 seconds flat. Hans-Dieter Dreher of Germany and Denis Lynch of Ireland had clear rides too, but at 47.86 seconds and 49.24 seconds, respectively, they weren’t fast enough to threaten the leader. Pieter Devos of Belgium and his countryman Olivier Philippaerts each picked up 4 penalty points, knocking them out of podium contention. Three-time Olympian and nine-time World Cup finalist Tops-Alexander was next up, and her experience held her in good stead, as she turned in a lightning quick clear round at 45.56 seconds to put her on the leaderboard in the No.2 spot. When Alberto Zorzi of Italy saw a rail come down on the first part of the double, it was all up to Staut of France, another seasoned competitor. Staut pushed the time challenge laid down by Lindelöw to the best of his ability and finished clear, but at 45.51 seconds would have to settle for second. Behind Lindelöw, Staut, and Tops-Alexander in the 1-2-3 slots, Italy’s Luca Moneta took fourth place in the Oslo event. Cristofoletti of Italy finished in fifth, and rounding out the top six was Dreher of Germany. Lindelöw said: "Zacramento has been in really good shape since finishing second in the Grand Prix in Brussels last month, so I came here with a great feeling and from the first day I believed we could give it a go!" There’s lots more thrilling competition to come as the Longines FEI Jumping World Cup™ will host 12 more Western European League events in 10 countries on the road to Gothenburg. Follow all the Jumping on FEI TV to see who will take the gold medal in Sweden in 2019.